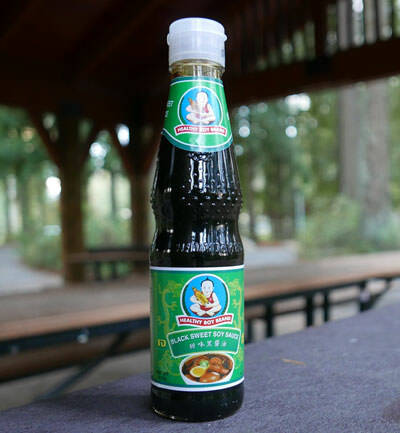 This is a dark thick sweet soy sauce, used in a variety of Thai recipes (see below). Our Korat-style Stir Fried Noodles, "Pad Korat" is deliciously sweet & slightly salty thanks to the soy sauce, and very spicy at the same time. A good example of the kind of flavors you can get with this product. Healthy Boy has the highest quality soy sauces in various formulas, often depending on regional tastes. Here is the "Green Label" dark sweet soy. According to Healthy Boy, this sauce gives your dish good color and sweet taste, adds a fragrant aroma. Add to dishes that you need color with sweet taste, to make that dish more fragrant and delicious. Use it in slow cooking methods, sauté, marinade or add to five spice soup (see recipe below for Kua Chap) to enhance flavor and color. 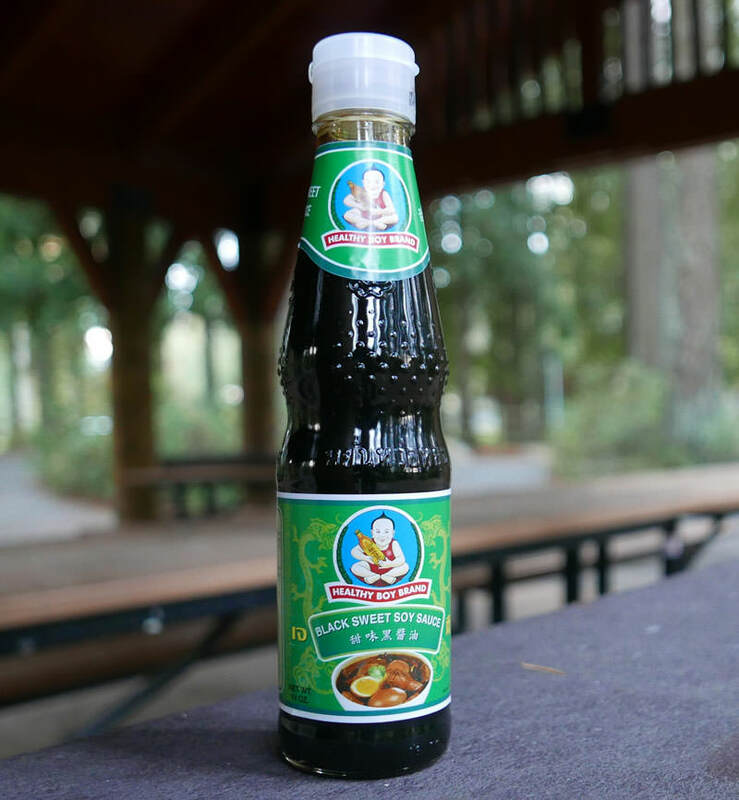 Our Healthy Boy brand is a widely used soy sauce in Thailand, known for the very best quality standard. Please see our feature story on how soy sauce is made. Ingredients: water, brown sugar, refined sugar, soy sauce (salt water, soybean, wheat flour), glucose syrup. Special Offer: 4 Pack. You get 1 bottle each: sweet soy, thin soy, dark thick, and yellow bean sauce.